Home » Deadliest Catch » #DeadliestCatch Discovery Channel “Bite The Hand” Recap-Big Storm Number 2 Rips Into The Fleet! 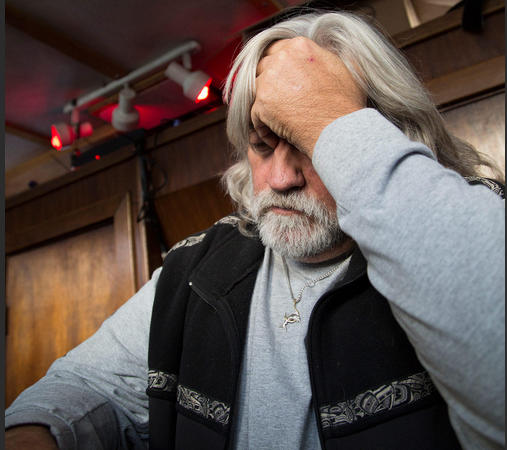 #DeadliestCatch Discovery Channel “Bite The Hand” Recap-Big Storm Number 2 Rips Into The Fleet! The weather has slowed production to a crawl on the Bering Sea, yet the Captains continue to grind their crews through 30 foot swells. No crab on the grounds makes for very unhappy skippers and exhausted men on deck. Captain Jake Anderson is coming up with zero crab counts and is forced to stack and move his pots. 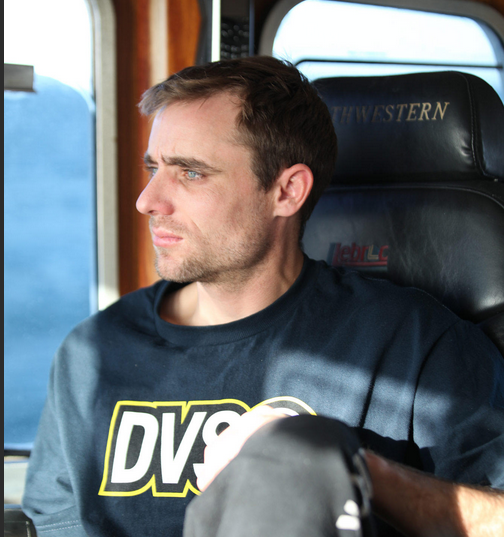 He needs advice and fast, but is afraid to call Captain Sig Hansen on the Northwestern due to his own pride.Jake makes the call to Sig out of sheer desperation and gets a good tongue lashing for his effort.Jake does the necessary groveling which gets him the help he needs for the Saga. Sig has Jake head his boat North to join the Northwestern, promising help. What Sig doesn’t tell Jake it that the rookie Captain will now be Sig’s “puppet.” That doesn’t sound too promising to me! Captain Bill Wichrowski pushes his crew through a 36 hour grind in horrible conditions. They are on the crab, but all are in pain and extremely tired. Captain Bill says they can work until they drop because that’s the job. Not exactly a great motivator! The crew looks like they want Bill dead and it’s hard to blame them. Tired, Captain Bill nods off in the wheel house while the crew gets a short sleep break. Meanwhile a huge rogue wave hits the Cape Caution with such force that it breaks the sorting table. The weary crew’s break is cut short while they scramble to get the deck up and ready to resume fishing. On the Wizard Captain Keith Colburn has lost the trail of the Opilio crab. Greenhorn Amy Majors is keeping up with the men on baiting pots, so Keith puts her on a new job to test her skills. She has to tie the enormous crab pots on to the crane hook. It isn’t easy and she’s in over her head. 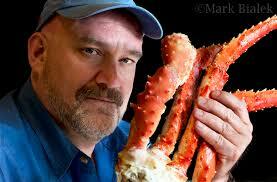 Keith’s pots have too many under-sized crab which means the legal size have moved elsewhere. The Captain makes the decision to stack the pots and move to new ground. Amy begins to crack under the strain and constant badgering by the deckhands. Captain/Owner Josh Harris and Captain Casey McMannis of the Cornelia Marie set their first Opilio crab pots of the season with Josh at the wheel. Josh is nervous and so is his crew. His Captain skills need lots of improvement! His first strings bring good numbers, with crab counts in the 300 count range per pot.Maybe Josh will survive the season after all? Back on the Cape Caution one of Captain Wild Bill’s deck hands wakes in the middle of the night screaming in pain.His leg muscles are cramping due to dehydration. Wild Bill has the guy drink pickle juice. The Brine works wonders and the cramps are gone! Write that tip down immediately, it worked wonders.The next morning Greenhorn Johnny is experiencing horrible pain/swelling in his hand. It looks infected. The Captain tells him to take a few antibiotics and a hot shower. With his wound oozing puss Johnny looks ready to pass out, but goes back on deck to finish the job.Crabbers are freaking tough! Wild Bill gives Johnny a backhanded compliment which is like high praise from anyone else! Let’s hope Johnny gets to keep his infected hand and a fat paycheck. That’s all until next week!